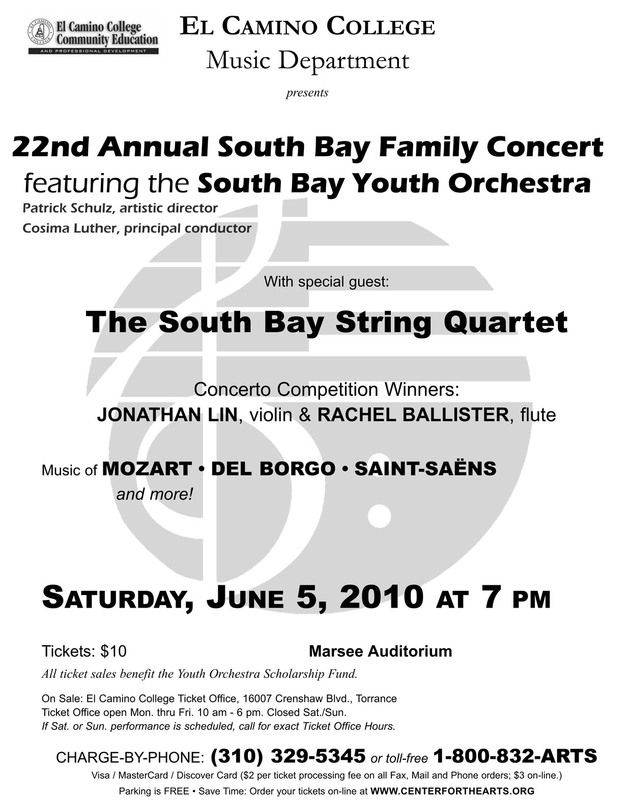 It's that time again - SBYO is going to perform at the Marsee Auditorium on June 5, 2010 at 7pm. It's one of the few times I get to see my son nut in a tie, so it's a very special occassion. 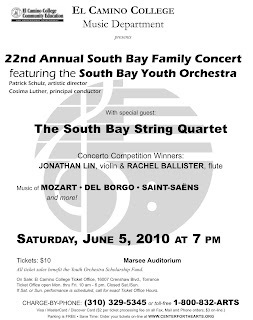 It should be a fantastic concert, with two of the kids in the orchestra performing solos, so come, bring your kids, and let them know there's more to playing music than Garage Band and Guitar Hero. And at $10, it's a deal you won't find anywhere else.